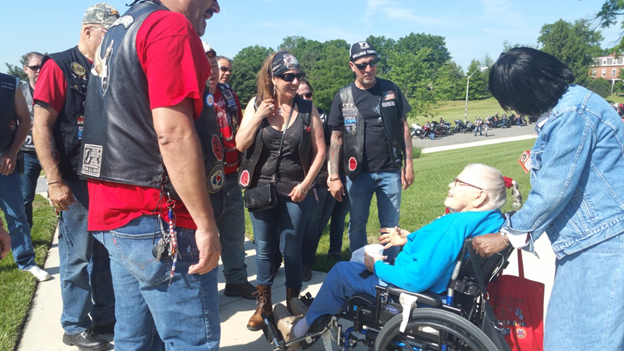 On May 23 and May 25, the National Association of American Veterans, Inc. (NAAV) volunteer representative attended the field trip to Lorton, Virginia and Armed Forces Retirement Home -Washington (AFRH-W) Outdoor Barbecue sponsored by the AFRH for Veterans’ residents at the Scott and Sheridan Building on May 25th. 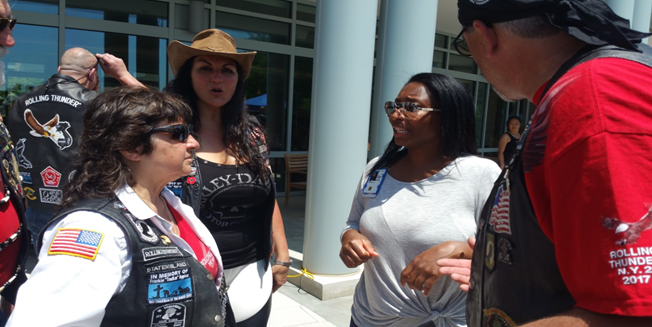 The Rolling Thunder of 40 or more members joined residents and staff at their Annual Memorial Cook-Out at the AFRH – Scott Building. The National Association of American Veterans, Inc. was established in 2005 and incorporated in 2006 as a 501 c (3) nonprofit organization to assist the severely wounded warriors, especially single parent service members, military caregivers, disabled Veterans and their families by helping them assess their benefits, improving communications and coordination for Veterans and collaborating among health agencies, medical organizations, education organizations and the public. The Rolling Thunder Chapter 2 of New York incorporated in 1995 is a 501 c (4) nonprofit organization that supports Prisoners of War (POW), Missing in Action (MIA), family members and Soldiers who have made a commitment and dedication to risk all they have to protect the freedom of our nation. About the Armed Forces Retirement Home-Washington, D.C. 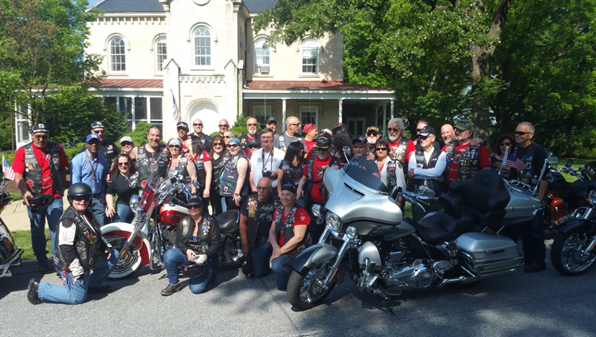 The AFRH is a retirement home for America’s Veterans who meet eligibility requirements AFRH offers residents a lovely scenic, wooded campus minutes from downtown Washington, D.C. Some of the services include recreational activities; medical, dental, and vision care; resident day trips; library service; barbershop and beauty salon; computer center; banking; mailboxes; movies; shuttle and public transportation; rooms with showers; cable TV; three daily nutritional meals, and a fitness center. A historical site at the AFRH is President Abraham Lincoln’s Cottage, where President Lincoln lived for a quarter of his presidency and made critical decisions. Guided tours with exhibits are a part of this historic setting. For more information and tickets visit www.lincolnscottage.org or call (202) 829-0436. The hours of operation are Monday through Saturday at the Visitor Center, 9:30 a.m. to 4:30 p.m., and Sunday 10:30 a.m. to 4:30 p.m. This entry was posted in News and Events, Organization News, Veteran News. Bookmark the permalink.